legacy of Hildreth MeiГЁre. 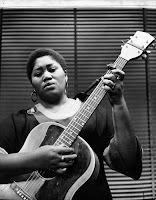 She has been speaking on the work of her mother since 2003 at venues in New York andВ internationally. Hildreth MeiГЁre Dunn, granddaughter of the artist, is the official photographer for the International Hildreth MeiГЁreВ Association. She was the principal photographer and photography editor for both the exhibition and catalogue WallsВ Speak: The Narrative Art of Hildreth MeiГЁre. She is strongly committed to the permanence of the artistic legacy ofВ Hildreth MeiГЁre, in the preservation and re-location of decommissioned works and in maintaining the quality andВ accessibility of the visual record of the artistвЂ™s entire body of work through the dissemination of photographs to numerousВ publications.Christine McKay, historian of BNY Mellon, will guide visitors through the historic building.В Price: $100 Friends of HDC, $125 for GuestsВ Location and directions for this tour will be provided upon registration.В Business or business casual attire is requested.В To purchase tickets, call 212-614-9107, ext. 14 or e-mail ashedd@hdc.org. Advance reservations are requiredВ and space is limited to 25. The Historic Districts Council (HDC) will show the 2010 documentary film, “The Bungalows of Rockaway,” produced by Jennifer Callahan and Elizabeth Logan Harris follwed by a panel discussion.The film highlights the rich history of the Rockaway bungalows. Although of the more than 7,000 bungalows dotting the peninsula in 1933, fewer than 500 remain today. The documentary, narrated by Estelle Parsons, features rare archival footage, maps, and interviews with historians, prominent New Yorkers, and several of the longtime residents and vacationers. The screening will be followed by a “Q & A” session and discussion with Richard George, executive director of the Beachside Bungalow Preservation Association- Nancy Solomon, director of Long Island Traditions and author of the National Register nomination- David Selig, owner of Rockaway Taco- Jeanne DuPont of Rockaway Waterfront Alliance, andthe filmmakers. 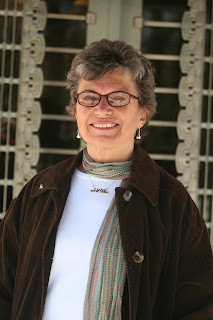 The program will be moderated by journalist Eve M. Kahn. The event will be held on Monday, June 11, at 6:30 pm at Anthology Film Archives, 32 Second Avenue at East 2nd Street, Manhattan. Fees: $10 for the general public, $5 for Friends of HDC, seniors and students. Advance reservations are required. Tickets can beordered via Paypal through hdc.org or by calling 212-614-9107. A limited number of complimentary tickets will be available to Far Rockaway residents. Please contact ftolbert@hdc.org for more information. Photo courtesy Historic Districts Council. 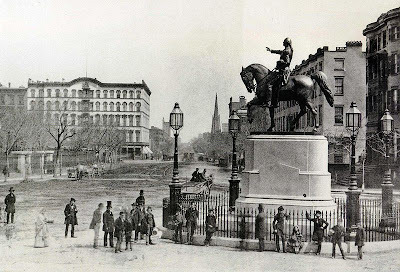 The Historic Districts Council has created an online archive and email newsletter, “HDC@LPC,” which documents both applications to the New York City Landmarks Preservation Commission for major changes to landmark buildings as well as HDC’s testimony on each proposal. 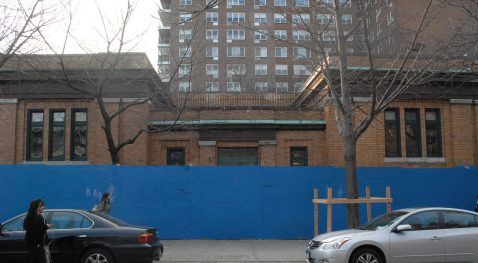 HDC, the citywide advocate for New York City’s historic neighborhoods, is the only organization to review and comment on hundreds of applications to the New York City Landmarks Preservation Commission for significant alternations to landmark buildings in all five boroughs. Each week HDC’s Public Review Committee reviews applications and testifies at public hearings as to the appropriateness of proposed changes. Through its testimony, HDC both advises the Commission about inappropriate applications and acknowledges exceptional design that sensitively treats and responds to historic buildings and districts. In addition to the weekly e-mail newsletter, HDC@LPC can be accessed at www.hdc.org/hdc@lpc/. HDC@LPC contains archived testimony dating back to 2005 and can be searched by neighborhood and historic district. The Historic Districts Council, New York’s city-wide advocate for historic buildings and neighborhoods, has announced the 2012 Six to Celebrate, an annual listing of historic New York City neighborhoods that merit preservation attention. This is New York’s only citywide list of preservation priorities. The six neighborhoods were chosen from applications submitted by neighborhood groups around the city on the basis of the architectural and historic merit of the area, the level of threat to the neighborhood, strength and willingness of the local advocates, and where HDC’s citywide preservation perspective and assistance could be the most meaningful. Throughout 2012, HDC will work with these neighborhood partners to set and reach preservation goals through strategic planning, advocacy, outreach, programs and publicity. Founded in 1971 as a coalition of community groups from New York City’s designated historic districts, the Historic Districts Council has grown to become one of the foremost citywide voices for historic preservation. Serving a network of over 500 neighborhood-based community groups in all five boroughs, HDC strives to protect, preserve and enhance New York City’s historic buildings and neighborhoods through ongoing programs of advocacy, community development and education. 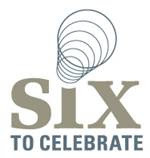 The Six to Celebrate will be formally introduced at the Six to Celebrate Launch Party on Wednesday, January 18, 2012, 5:30-7:30pm at the Bowery Poetry Club (308 Bowery at East First Street). For more information or tickets, visit www.hdc.org. Elegant rowhouses, Victorian-era mansions and pre-war apartment buildings combine with parks, vibrant commercial streets and impressive institutional buildings to make Bay Ridge a quintessential New York City neighborhood. For more than 30 years, the Bay Ridge Conservancy has been working to preserve and enhance the built environment of this architecturally and ethnically diverse area. Once upon a summertime, Far Rockaway was the vacation spot for working-class New Yorkers. Although recent decades have erased much of this history, just off the Boardwalk on Beach 24th, 25th, and 26th Streets rows of beach bungalows built between 1918 and 1921 still stand. The Beachside Bungalow Preservation Association is seeking to preserve and revitalize this unique collection of approximately 100 buildings. Situated between Riverside Park and Morningside Park, two scenic landmarks designed by Frederick Law Olmsted, and developed mainly between 1900 and 1915, Morningside Heights is characterized by architecturally-unified apartment buildings and row houses juxtaposed with major institutional groupings. The Morningside Heights Historic District Committee is working towards city designation of this elegant neighborhood. Once the site of Revolutionary War-era Fort Independence, Van Cortlandt Village developed into a residential enclave in the 20th century. Built on a winding street plan designed by Frederick Law Olmsted, responding to the hills and views of the area, the neighborhood consists of small Neo-Colonial and Tudor revival homes and apartment buildings, including the Shalom Alecheim Houses, an early cooperative housing project. The Fort Independence Park Neighborhood Association is seeking to bring awareness to the neighborhood’s historic and architectural value as well as nominate it to the National Register of Historic Places. Located in the heart of Brooklyn, Victorian Flatbush is known for being the largest concentration of Victorian wood-frame homes in the country. The area presently has five New York City Historic Districts, but the blocks in between them remain undesignated and unprotected despite architecture of the same vintage and style. Six local groups representing Beverly Square East, Beverly Square West, Caton Park, Ditmas Park West, South Midwood and West Midwood have joined together with the Flatbush Development Corporation to “complete the quilt” of city designation of their neighborhoods. New York City’s Historic Districts Council and the Historic Landmarks Preservation Center have commemorated the life and work of Edith Wharton, author of “The House of Mirth” and “The Age of Innocence” with a historic plaque. Born in 1862 at 14 West 23rd Street in the Ladies’ Mile Historic District, Wharton was a chronicler of New York City’s Gilded Age and trendsetter for her generation. The plaque is part of the Historic Landmarks Preservation Center’s Cultural Medallion program. The Center, chaired by Dr. Barbaralee Diamonstein-Spielvogel (HDC’s 2011 Landmarks Lion), has installed almost 100 medallions around New York City to heighten public awareness of New York’s cultural and social history. Distinguished Edith Wharton scholars, including Susan Whissler, executive director of The Mount, participated in the plaque unveiling. 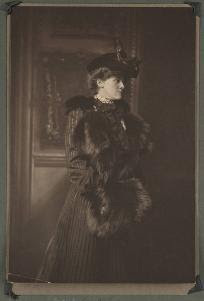 Photo: Photograph taken in Newport, Rhode Island, of author Edith Wharton, wearing hat with a feather, coat with fur trim, and a fur muff. Image courtesy of the Beinecke Rare Book & Manuscript Library.